13 Reasons Why Using Social Media for Business is Non-Negotiable! 08 Feb 13 Reasons Why Using Social Media for Business is Non-Negotiable! 13 REASONS WHY USING SOCIAL MEDIA FOR BUSINESS IS NON NEGOTIABLE! Is there ever a time when having a social mediaImage presence is an option? I believe the answer is no, in this day and age as a business you can’t afford NOT to leverage social media. Here are my 13 Reasons why using social media for business is not negotiable. Consumers are more and more savvy about who and where they purchase products from and people will take the time to research online before making a purchase. By having a social media presence that is both engaging and engaged it helps reassure clients that your business is reputable and can be trusted. Copying and pasting marketing lingo into social media just doesn’t work. You have less space to do it and the environment is completely different. 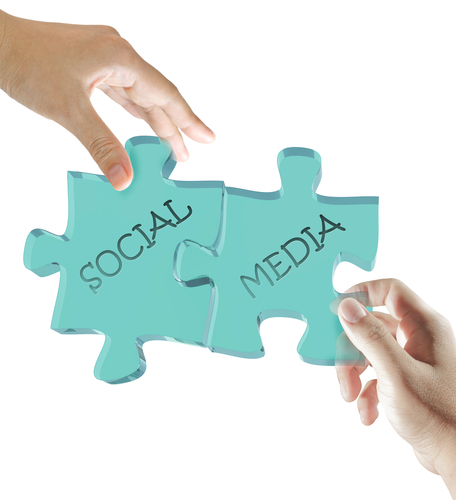 Social media gives your business the opportunity to reach out and actually connect with your audience. No Stuffy corporate policies. Real one to one relationships. Your sphere of influence is the people in and around your brand that you interact with. There will always be key people of influence in your niche so spend some time getting to know them, watch and learn how they engage their audience and then start engaging with them. When you manage to develop a relationship with these key people of influence it impacts on your sphere of influence, people will see it and this too will help build your credibility online. 4. YOUR COMPETITION IS USING IT. Your industry or niche is represented on Facebook and Twitter. It is. If you don’t believe me go to Google and do a search for: “Your niche” + “Facebook” and see what comes up. In 2011 Emarketer estimated that Facebook’s revenue from advertising was $3.8 billion and that could be $5.2 billion in 2012. Emarketer also said that almost 40% of small businesses that sell on Facebook say it is their soles sales channel. Companies are paying a lot of money to advertise and grow their brands in social media. That suggests that using social media for business is working. If you aren’t already, then you should be. 5. YOUR TARGET AUDIENCE IS USING IT. Think of Facebook as a shopping mall, where people are living a virtual social life, being present in this mall is one of the smartest moves you can make for your small business. The old saying goes that, “numbers don’t lie” so here are the official statistics from Facebook about usuage.